Would you like to WIN an Elite Holiday Homes​ weekend away?! 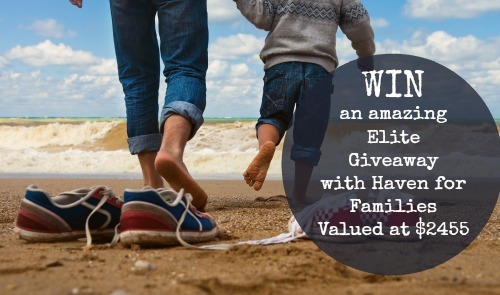 We have teamed up with Haven for Families to giveaway one AMAZING prize! One lucky winner will WIN a 2 night getaway for up to 12 people at one of our Elite Holiday Homes’ luxury properties, Aqua Gold Coast. Be quick entries close July 20, 2015. T&C’s – block out period applies during school holidays & public holidays and normal terms and conditions apply always (here).